Objective: The purpose of this study was to investigate obstetric outcomes of nulliparous teenagers and to compare selected variables of their course and outcome of pregnancy with controls. 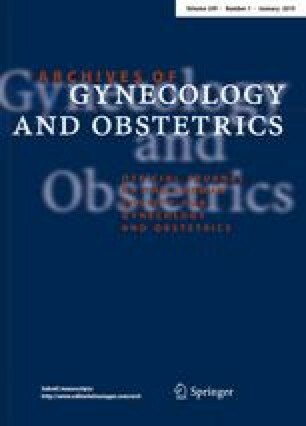 Methods: A review of hospital records from 1997—1999 was done to compare the obstetric outcome in 760 teenage first pregnancies (study group) with that in control group i.e. 20 years to 29 years selected from the first women in the birth registry who delivered after each study case and satisfying the criteria for controls. Results: Revealed that incidence of complications of pregnancy like anemia, pregnancy induced hypertension and antepartum hemorrhage were similar in study and control groups. Pregnancy weight gain, prelabour rupture of membranes and gestational diabetes were significantly lower among teenage mothers. The normal mode of delivery was commoner in teenagers (89.5%) in comparison to control group (72%), probably because of higher number of low birthweight babies. Although in study group the mean birthweight was lower and the incidence of preterm labour and small for gestational age infants higher, there was also increased incidence of large for gestational age infants. While there was no difference in the types of labour, there were lower caesarean and instrumental deliveries. A statistically non-significant higher incidence of perinatal deaths was observed in teenagers. Conclusions: These results indicated that the course and outcome of pregnancy in teenage mothers had in most respects better obstetric outcomes, despite the higher incidence of preterm labour.